Is Modern Fruit Really Healthy? When Paleo dieters talk about eating according to evolutionary design, a huge elephant in the room is the evolutionary changes that have affected our food itself. We’ve bred animals to be fattier with milder-tasting meat: compare a chicken to a pheasant or another wild game bird, and the pheasant will taste extremely dry and gamey in comparison. We’ve bred vegetables to be less bitter and produce more edible parts. And we’ve bred fruit to be bigger, sweeter, seedless, and more uniform in appearance, so it looks nicer on a grocery-store shelf. This long process of selective breeding has removed the fruit so far from its original state that most fruits need to be raised in highly artificial conditions because they can’t even survive without human assistance. In handcrafting our apples and pears to suit our taste buds, we’ve stripped them of their natural defenses against pests and predators, and transformed them into completely domesticated species dependent on human intervention from start to finish. So with all these incredible transformations, is fruit still a healthy food that deserves to be lumped together in the “fruits and vegetables” category, or is it basically just whole food candy? We know that the genetic changes to modern dwarf wheat have made it even worse for us than it originally was; could the same disadvantages be true for fruit? Does modern fruit even still belong in the category of a “natural food,” or is it more like a sort of processed food that we’ve engineered to grow ready-made from a tree? Fruit picked off a tree is available to the most nomadic hunters and gatherers, and fruit was definitely eaten well before the advent of agriculture, although theorizing about precisely what fruits were available during the Paleolithic is an exercise in wild speculation. All we can really tell is that we definitely didn’t evolve to eat a fruit-based diet like apes and chimpanzees, but probably ate at least some fruit as it was seasonally available. These wild fruits would have been small, difficult to get, and comparatively less juicy than their modern equivalents. To get some idea, take a camping trip somewhere in late summer, and go hunting for wild blueberries. If you’re lucky enough to find a patch, you’ll notice that they’re much smaller than the grocery-store equivalents, more acidic, and quite laborious to pick – tasty, but you’d have to scrabble around on your hands and knees all morning to get a fruit salad out of them. When humans started settling down and growing crops, we also started cultivating fruits. The earliest pictorial record of fruit cultivation comes from Iraq, around 3,000 BC (for reference, this is well after the agricultural revolution, which took place around 10,000 BC). Ancient cultures in Egypt and Mesopotamia grew fruits including dates, olives, and grapes, and later apples and pears. By the time the Roman Empire dominated the Mediterranean world (around 200 BC), fruit culture was widespread, and the Romans enjoyed apples, dates, and other fruits as desserts. 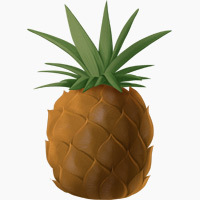 When European explorers discovered the New World, American fruits like pineapples and tomatoes were added to the European plate. Cultivating fruit deliberately would have given us the first opportunity to breed the fruit for specifically desirable qualities. Fruits are usually grown not from scratch (by planting a seed in the ground), but by a process called vegetative propagation. In vegetative propagation, a gardener or scientist grows an entirely new plant from a piece of the old one, producing a “child” plant that’s genetically identical to the “parent.” It’s basically a way of cloning plants. At least one of these methods, called grafting, is an ancient technology, attested as early as 1800 BC in Mesopotamia. In some cases, only vegetative propagation allowed an edible variety of the fruit to be developed at all. For example, take bananas. In the wild, bananas are pretty much inedible, because there are so many seeds relative to the amount of fruit. But every now and then, an evolutionary accident produced a sterile banana, one without seeds. With just the flesh of the fruit left, these sterile bananas were actually quite tasty. To get more of them, ancient banana-lovers bred them using cuttings (since without seeds, the banana couldn’t reproduce itself). This process started around 10,000 years ago, and today we’re still eating the genetically identical “descendants” of these early experiments in plant breeding. The same kind of effort with other fruits has created the apples, grapes, and other fruits we enjoy today from their less palatable wild equivalents. Humans can selectively breed fruits for our favorite traits (or wait until those traits occur by chance), and then “freeze” the evolutionary process and produce fields of genetically identical fruits. The result is fruits that look good on supermarket shelves, but aren’t very hardy in the wild – many domestic fruits, like apples and pears, have to be pollinated by bees (insects they didn’t evolve to need) in order to be fertile. 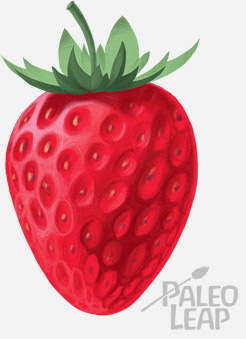 So how have all these human-induced variations changed the nutritional content of our fruit? One of the most obvious differences is the sugar content (most of which is fructose). Wild apples are small and bitter, nothing like a Red Delicious or Macintosh from a modern orchard. Compare a crabapple to the gleaming, polished fruits in the grocery store, and the difference is obvious. We like our fruit sweet, and we know how to keep it that way. On the other hand, it’s very important not to let the changes of selective breeding blind us to the fact that many wild (non-cultivated) fruits are actually quite sweet naturally. Fruits are under evolutionary pressure to be sweet completely independent of human breeding, because that’s how they spread as a species. Their pleasant taste is how they attract animals (including humans, but also apes, monkeys, birds, and other fruit-eating species) to come and eat them, and then spread their seeds around through defecation. The sweeter the fruit, the more we’ll seek it out, and the better for the species. In other words, it’s in the fruit’s evolutionary advantage to be sweet, so it’s reasonable to expect that fruits should have been continually evolving to become sweeter regardless of what genetic experiments humans are carrying out in research institutions. Evidence from uncultivated fruits bears this theory out. Some wild fruits are just as high in sugar as anything you can get at the grocery store, although others are smaller and less palatable. These sweet fruits are roughly equivalent to cultivated fruits in carb content, glucose and fructose ratios, and caloric value (some of them are even more calorie dense than our cultivated fruits). 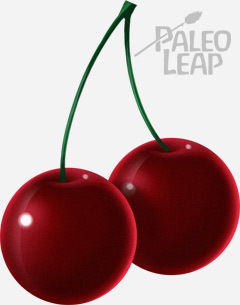 Clearly, even though wild apples might not be naturally as sweet as a Red Delicious, it’s not impossible that Paleolithic humans would have had access to some other varieties of fruit that were just as sweet and just as high in fructose as modern cultivars. This similarity casts some serious doubt on the theory that modern fruits are just “natural candy” compared to some theoretical bitter, small, and fiber-rich ancient counterpart. But comparison to very sweet tropical fruits only tells half the story: it doesn’t account for how we grow and treat our fruits before we eat them. Another argument against fruit is that before the advent of modern nutritional engineering, it was rare and available only in season. Before refrigeration became widely available, you couldn’t get blueberries in February or peaches in April unless you found some way to preserve them. Since most of these fruits ripen in the fall, this argument claims that fruit is a temporary sugar burst that helped us fatten up a little in preparation for possible starvation during the winter. Just look at bears gorging themselves on blueberries before they hibernate. If this argument holds water, fruit starts to look like a food that might have been helpful in the Paleolithic, but isn’t so great for modern humans. After all, more fattening up is the last thing we need! There’s one big problem with this argument, though: plenty of healthy hunter-gatherer groups live around the equator, where the weather is so warm that fruit grows year-round. And people in these groups simply are not getting fat from their fruit intake. If we’re talking about human evolution, this is likely the climate in which we spent a lot of our time, and observations of modern-day humans living this way hardly provide evidence for fruit as insulation for the coming winter. A better critique of modern fruit rests on the amount of processing it takes to go from orchard to plate. Before refrigerated trucks existed, fruit was largely a local commodity – only the very rich could afford to ship it long distances, which required crates of ice and a high degree of expensive labor. Spend 5 minutes watching trucks on the interstate and it’s easy to realize how much that’s changed. It’s now easy to store and transport fruit across the continent in refrigerated trailers, if you pick it when it’s still green and let it ripen on the way. To keep that perfect row of shiny green apples, the fruit is then colored with wax or given other cosmetic treatments. Unfortunately, this has detrimental effects on the nutritional value and taste of the food (a notable exception is avocados, which don’t ripen at all on the tree and need to be picked several days before consumption). Picking fruit while it’s still green means that it has less time to absorb nutrients from the soil. Many fruits are chemical-treated to control the ripening process, but this only causes cosmetic ripening, not an increase in nutrition. This study in grapefruit found that the artificial ripening process doesn’t do any more damage besides what’s already been done by picking the fruit too early, but it still doesn’t make up for cutting short the fruit’s time on the plant. On top of this, fruits are still alive after being picked, so the living fruit still needs energy and nutrients. Without a connection to the soil or the environment, it has to get those nutrients from its own internal stores, meaning that the fruit itself is “eating” the nutrients you would otherwise get. The effects of this can be quite significant. For example, red and orange fruits like tomatoes, apricots, and peaches are natural sources of Vitamin C, but the Vitamin C content of these foods is lower for fruits picked green and allowed to ripen in a refrigerated truck than for fruits picked ripe from the plant. Bruising and rough treatment of the fruit during processing can further reduce the nutrient content. One United Nations study even found that “little [Vitamin C] may remain after two or three days.” Another study on blackberries found that berries harvested when ripe had a significantly higher level of antioxidant compounds than berries picked earlier and allowed to ripen in coolers. Before the fruit is even packed into a truck, modern fruit processing methods also involve several dangerous chemicals, because the artificially bred fruits are too weak to survive on their own. Because they’re genetically identical, for example, apple orchards require an astonishing amount of pesticidal sprays to protect the evolutionarily stagnant crop from the evolutionarily vibrant molds, fungi, and insects that continue trying to find ways around the apple’s defenses. Even organic apples aren’t safe from this: organic doesn’t mean “no pesticides;” it just means “different pesticides,” and since the organic pesticides are often less effective, organic farmers have to spray on even more of them to get the same benefit. This is the price we pay for the predictability of cloning our fruit: tweaking Mother Nature’s creations to our tastes means we also have to take care of the results. If we’re comparing ancient and modern fruit, we can’t ignore this aspect of the question. The sugar content of modern fruits might not be so much of an issue, but compared to the fruits eaten in traditional cultures, ours are delivering a lot less nutrition (and potentially some toxic hangers-on) in exchange. Ultimately, the question when it comes to fruit shouldn’t be, “did cavemen have access to ____________?” but “will eating _______________ make me healthier?” Most prehistoric people didn’t have access to coconut oil, many of the vegetable species we eat now, or meats from the same animals as we eat, but we still enjoy these foods because they’re healthy, nutrient-dense, and non-toxic. Does modern cultivated fruit still pass this test? Integrated into an overall nutrient-dense diet, in reasonable quantities, it absolutely does. Yes, it’s “unnatural” to be eating bananas in December, but it’s equally “unnatural” to be eating coconut oil anywhere outside the tropics. Yes, cultivated fruit has more fructose, but naturally occurring sugar in whole foods is simply not a demon to fear. Even in studies done on modern fruits, there’s no sign that sugar from whole fruits has any negative effect on health – and remember that early humans may have been eating fruits equal in sugar to our modern apples and bananas anyway. There’s no real reason to avoid a moderate amount of fruit because of fructose, unless you have a metabolic disorder, or problems with fructose malabsorption or FODMAPs intolerance. On the nutritional front, grocery-store fruits do contain fewer nutrients than their wild equivalents, but that just highlights how to integrate them into your diet: as an addition to vegetables, not a replacement for them. Think of fruit as less of a nutrient-dense staple, and more of a harmless “treat food” that doesn’t really contribute much to your diet, but also doesn’t do you any harm. One way to avoid many of the problems with modern fruit is to satisfy your taste for sweetness with fruits that humans have changed very little since we started breeding things. Berries are the best option for this; of all the fruits in the grocery store, they’ve been changed the least by human breeding efforts. Many grocery stores carry frozen packages of wild blueberries and strawberries, so you can even get berries grown under relatively “natural” conditions. Other wild fruits aren’t in the grocery store at all; they’re actually waiting for free all around you, ready to be picked. Crabapples, for example, are like small, tart apples; they cook up into a delicious relish to spread over pork chops or chicken. Just go out in the fall with a big tub and pick them straight off the tree! Another way to avoid the nutrient loss of shipping is to eat produce that hasn’t been shipped to you. Find a local farm or orchard – many will actually even let you pick your own. It’s prime time for apple harvesting right now: an afternoon spent in a local orchard can be a great way to appreciate where your food comes from and spend some family time away from all your screens. The major problem with modern fruit isn’t what grows on the tree (or the vine, or the bush). It’s what happens to that fruit after it leaves the plant, starting the pesticide sprays, and moving on to being harvested before it’s ripe, so it has fewer nutrients. After losing even more of those nutrients in transit and storage, it’s buffed up with wax and other chemicals for the supermarket shelf, and the result is just not comparable in nutritional value to what anyone would have been eating before the industrial food system. Modern fruit is also often processed into forms that make it very easy to get too much of it. Fruit juice and fruit smoothies (the “large” size cup at Smoothie King could probably hold a newborn baby!) make fruit very easy to overeat. 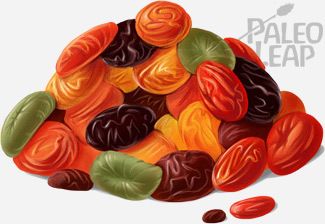 Dried fruit is an ancient food, but one that’s now available in massive quantities: nobody in the Fertile Crescent in 2,000 BC could walk into a grocery store and pick up a 5-lb jar of raisins or dates. These processed forms of fruit make it very easy to replace more nutritious foods with a “meal” of blended berries, or simply take in too much concentrated sugar at one sitting. But whole, fresh fruit is nothing to fear, no matter how modern it is. Enjoy it as a whole food, and treat it as an addition to your diet instead of a substitute for other foods. Local produce is always better for nutrition (and usually tastier as well). If you’d rather get the fruit that humans have modified least, your best options are berries, and any wild-growing fruits you can find, like crabapples. That said, it’s also a perfectly healthy choice to avoid fruit if you don’t like it, or if you have a fructose malabsorption problem that makes it uncomfortable to consume. There’s nothing in fruit that you can’t also get from vegetables and meat, so don’t feel obligated to consume it either. Enjoy it as a treat if you like it; ignore it if you don’t; there’s no need to worry either way.